There will be no more free Jio 4G services after December 3. Hypothetically because at least this is the stated plan for now on paper. Originally, the Welcome Offer that was provided to all Jio SIM card users from September 5 was supposed to last until December 31. Consequently these users were also supposed to get free data -- and the calls are anyway free on Jio network -- until the end of this year. But then TRAI, which regulates all telecom operators said that it's not possible. A promotional offer cannot be offered for more than 90 days and hence, the Jio Welcome Offer must end on December 3. This is the most likely plan for now. When Jio came out with its Welcome Offer, it made a promise to users that the services will be free until December 31. That promise, irrespective of TRAI guidelines, will be most likely upheld. How will Jio do that? It will probably put all existing Jio subscribers on a different plan, thereby complying with the TRAI guidelines. But that plan too will offer free services until December 31. In fact Jio has already confirmed it. 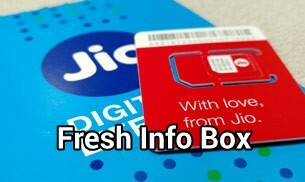 The company had earlier said: "As per RJIL's filing with the TRAI, the JIO WELCOME OFFER (JWO) will be available to all the customers for subscription till December 3, 2016. RJIL wishes to reconfirm that JWO benefits of free unlimited voice and data will continue to be available to all subscribers till December 31, 2016. The consumers, who cannot subscribe to the RJIL services till 3rd December 2016 will continue getting opportunities to avail new offers and tariff plans from RJIL." This is also very much possible. People who are already part of Welcome Offer will continue to get Jio services for free until December 31. But new users who get the Jio SIM after December 3, will probably pay for the service. Or they will possibly be brought on board using a special plan, which offers then four weeks of free service but a paid plan after that. This is an interesting scenario but quite possible. From December 4, Jio may move all of its subscribers (old and new) to a new promotional offer and give free services for another 90 days. Since almost all the guidelines have loopholes in them, there is one in the TRAI's rule too. While it said a company can't offer a service for free for more than 90 days, it didn't specify if the same service can be re-launched with a new name. This is highly unlikely to happen because it will erode the trust in Jio brand. Jio promised free services to all those who are part of Welcome Offer until December 31. So it can't break the promise. But then there are always surprises. Jio can say sorry to users and then blame TRAI for forcing it to charge users. Sure, it won't be nice and pretty but TRAI guidelines sure give a lot of leeway to Jio to move all its existing users to paid plans from December 4. The way India Today Tech sees it, if you are an existing Jio user as part of the Welcome Offer, you will almost certainly get the free Jio data and calls service until December 31, 2016. So you should keep using that Jio SIM without worrying, if the SIM is usable because we have seen the data speed of Jio plummeting in the last couple of months. But after December 31, you should prepare yourself to pay for the service.